One of the questions I get asked a lot about White Picket Fences: Turning toward Love in a World Divided by Privilege is why I wrote it. Why would I want to turn a mirror on my own privileged existence as an affluent, educated, white American woman? It’s a challenge to be vulnerable and publicly self-reflective at any time, and we currently live in a particularly polarized social climate. Warring left- and right-wing views seem to dominate the airwaves, and saying the wrong thing in front of either audience can escalate quickly and hurt people. But what I can say is what I hope this book offers. I hope it offers a different way to navigate the questions that come up when talking about privilege, a way of hope instead of fear, a way of healing instead of guilt, a way of growth instead of despair. As I see it, the predominant responses to the concept of privilege among privileged people consist of shame and denial. For anyone who is willing to admit that privilege exists—that some of us were born into opportunities denied to others by virtue of history, genetics, family, ethnicity, and so forth—acknowledging that privilege and how it operates can lead to guilt, to shame, and to despair because the forces that got us here are big and often invisible and seem very much out of our personal control. Others respond to the idea of privilege with denial and defensiveness, arguing about the ways they have worked hard for their position in life or identifying ways that whiteness and wealth seem like disadvantages in a politically correct climate. Neither shame nor denial motivate positive change, and neither shame nor denial honor the full humanity of the people involved. I have believed for a long time that hope allows us to envision a better future, and that love is stronger than fear. 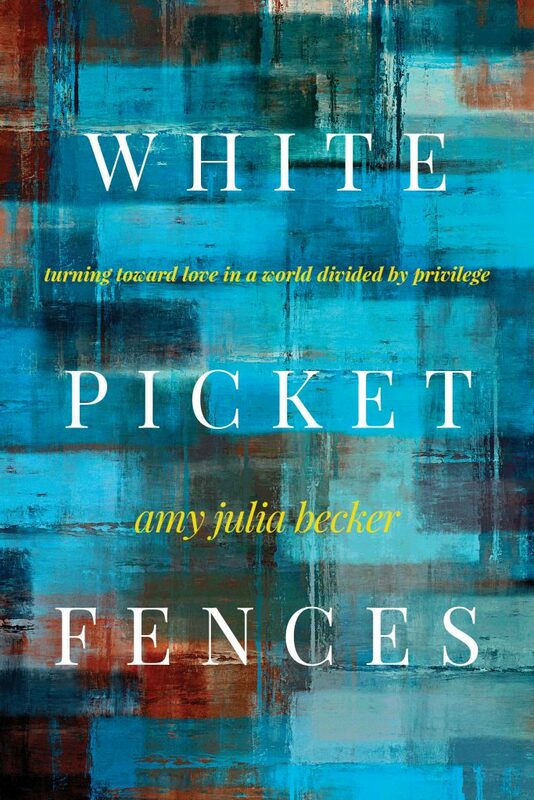 White Picket Fences is an attempt to think those ideas through and offer a way for people to understand privilege and then to respond to it not with shame or denial, but with hope, with love. It sounds like Kumbaya, like a call to individual kind actions that will never amount to pervasive social change. It might even sound like encouragement for people in power to solve social problems. But this book fails if it leads in those directions. Rather, I hope this book is an invitation to humbly acknowledge what we have been given that we do not deserve, and to gratefully consider how we can use those gifts for the good of others. I hope this book is a call to connect—to God, to one another—rather than a call to act as individuals. And I hope this book is one small step away from shame, away from fear, away from denial, one small step towards love.